National Testing Agency (NTA) has released the UGC NET Application Form 2018 on September 01, 2018 at the new official website i.e. ntanet.nic.in. The UGC NET candidates can fill the UGC NET Application Form 2018 till September 30, 2018. 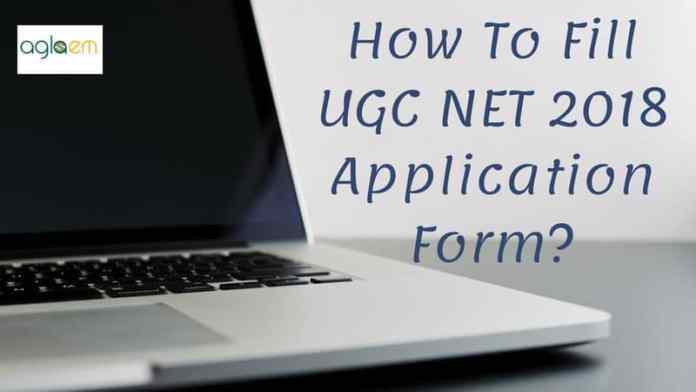 The mode of filling the UGC NET Application Form 2018 is online. NTA has not introduced any other method for filling the form. The application fee for General category candidates is Rs. 800/-. From this page, the candidate will get information regarding How To Fill UGC NET 2018?. How To Fill UGC NET 2018? Candidate can follow the given below steps for filling UGC NET 2018. Most Important thing is that the candidate should not fill or upload invalid details in the Form. Apply Online: Click Here to Proceed to the Application Form Filling UGC NET 2018 Page. For Registered Candidate: Fill all the asked details (Application Number, Password, Security Pin etc. and click on the blue button in which “LOGIN” is mentioned. For New User: Click on the blue button in which “Apply for UGC NET December – 2018″ is mentioned. After clicking on the above-mentioned button, Authentication Page will open in this candidate need to mention the State of Residence, Identification Type (Select), Identification Number, Candidate’s Name, DOB, Gender, Enter Security Pin which will be mentioned just below. After filling all the details click on the “Submit” blue button. After clicking on the submit button candidate will be Redirected to the application form page of UGC NET Dec 2018. 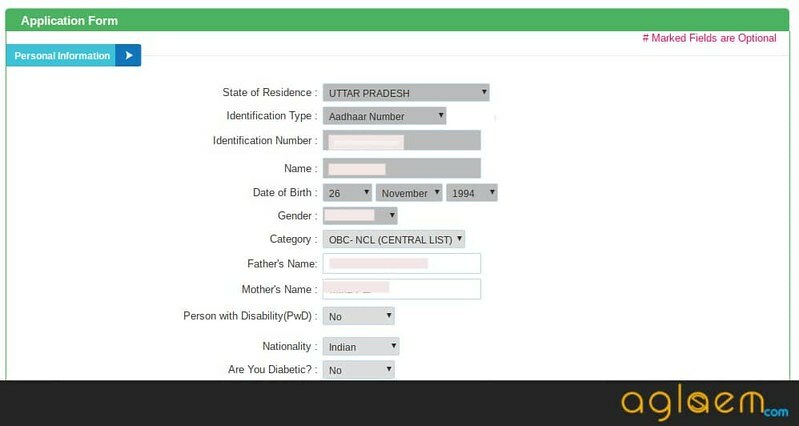 1st Section: In this page, some of the credentials will be auto-filled which you have filled in the previous page and some credential candidate need to fill like – Father Name, Mother Name, Category, PwD, Nationality, etc. 2nd Section (Educational Details): In this section candidate needs to mention or Select the Post, Subject Opted for NET, Fill all the 4 choices for Exam City. 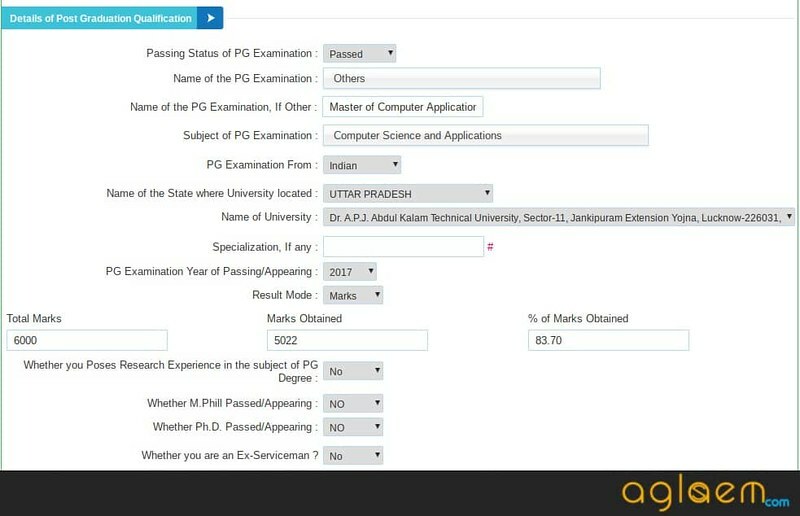 3rd Section (Details of PG Education): In this section, the candidate need to mention the Passing Status of PG Examination, Name of PG Examination, Subject of PG Examination, PG Examination From, Name of University, Name of the State where University located, Specialization (If any), PG Examination Year of Passing/Appearing, Result Mode, Marks, Degree, Other Details etc. 4th Section: In this section, the candidate need to mention following details: Choose your Password, Confirm Password, Security Question, Security Answer, Security Pin. After filling all the details click on the “NEXT” blue button. At last, on successful submission of the form, the candidates will receive their self-generated password and user id. For Uploading the Documents candidate need to LOGIN by mentioning the asked details. In this page candidate need to upload the scanned colored Photograph and Signature. Scanned Image should be clear. After filling all the details candidate should click on the “Submit” blue button. After completing the above two steps the candidates have to submit the application fee as per their category. The candidates can choose any one of the below mentioned modes for submitting the fee. For doing the Payment candidate need to Read the disclaimer clause “I have read and accepted the terms and conditions stated above”. After reading the Disclaimer click at “Click Check Box to proceed for payment”. Click on “Proceed”. Next Page will open. Select “All India” option in “State of Corporate/Institution”. Select “Educational Institutions” option in “Type of Corporate/Institution” and click on the “Go” button. Select “NATIONAL TESTING AGENCY EXAMINATION FUND” option in “Educational Institutions Name” and click on “Submit” button. 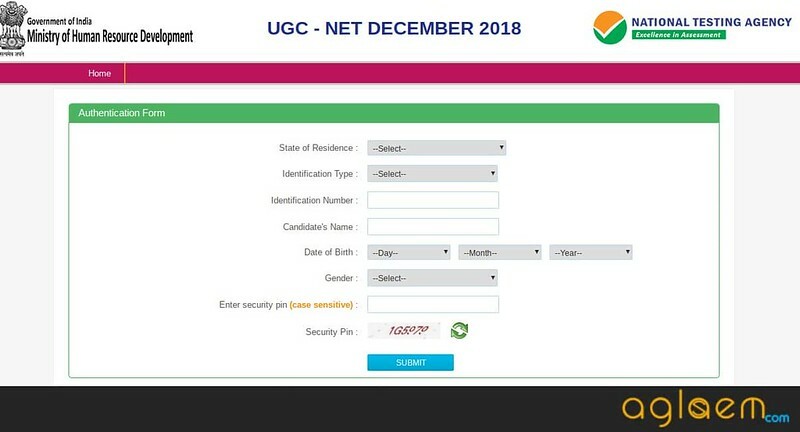 Select “UGC-NET December 2018” in “Select Payment Category” and enter Application/ Registration no. and click the “Submit” button. Enter Your Name, Date of Birth & Mobile Number and Enter the text (same as it will be mentioned) click on the “Submit” button. Verify details and confirm, the transaction will be displayed. Press “Confirm” button. Click on “Card Payments” option for doing payment through Credit/Debit Card. Click on “Net Banking” option for doing payment through Net Banking. 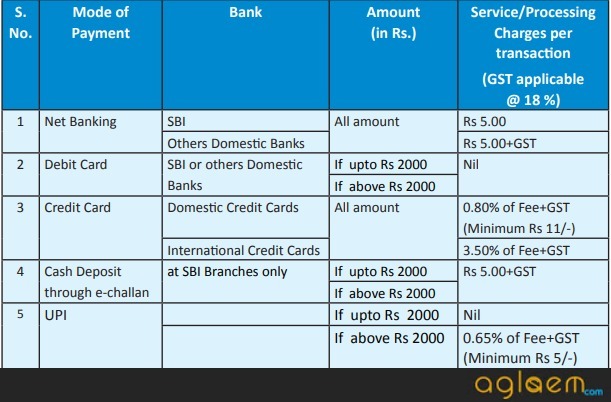 Click on “SBI Branch” link for payment through e-challan. “Click here” to save the Pre-Acknowledgement Form in PDF”. the e-challan slip will be generated. Go to any of the CBS branches of State Bank of India and do the cash payment. Collect a copy of e-challan (candidate’s copy) from the Bank and must keep it with you as proof. Candidate should take the four printouts of Confirmation Page after successful submission of the Application fee. Note: All the 4 Steps can be done together or at separate times. Provide the same data (name of the candidate, father, mother, DOB) as given in the Secondary Marksheet. Provide your valid and working Email ID and Number. Candidate should select the 4 Examination center, NET subject to appear in the examination by referring the UGC NET Advertisement 2018. The Photograph must be taken on or after September 01, 2018 showing clearly the name of the candidate along with the date of taking the photograph. The photograph taken with cap or goggles is not allowed. Spectacles are allowed if being used regularly. Photograph background should be white. Polaroid and Computer generated photos are not acceptable. Scanned Photograph, File size should be between 10 kb to 200 kb. Candidate should upload the scanned signature. Full named Signature with running hand-writing will suitable only. A signature must only cover the Sign-box area provided in the Application Form. The signature should be done on the white paper. Scanned Signature, File size should be between 4 kb to 30 kb. Full Signature is done by using the “CAPITAL LETTER” will not be acceptable.